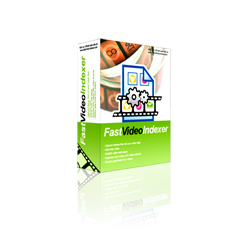 Fast video indexer is a windows 2000/XP/Vista and Windows7 application. Fast video indexer is safe to download. It contains no addware, spyware or malware of any kind. Work Faster and Smarter with Fast Video Cataloger, our new profesional video software. Index all your videos to one browsable and searchable thumbnail catalog. Start playing right from the thumbnail bookmark. Order Fast Video Indexer now! "I've very impressed with your service and program which now works perfect for all my needs!" When you buy your registration code and instructions will be emailed to the email address you provide.